This season, get the best luxury accommodation for your snow holiday. 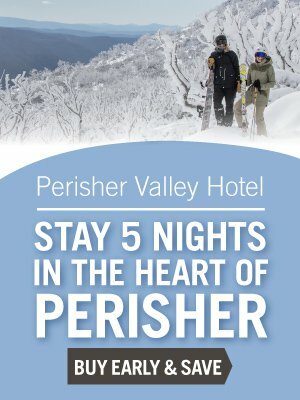 Renowned for its ski-in, ski-out location, this fun, family friendly hotel is located in the heart of Perisher Valley. Only 100 metres from the Village 8 Express, the hotel has extensive views over the resort, with easy access to all resort facilities including Perisher's Snowsports School, Snowsports Hire, retail outlets, bars and coffee shops. All rooms have in-room entertainment including LCD televisions with cable and local networks, free wireless internet access, mini bar and personally controlled heating for your total comfort. Whether you want to pamper yourself in our hotel spa and sauna or be pampered by our in-house massage therapist while your children are playing in the games room after a great day on the slopes, or, simply relax in the comfortable cocktail bar with your favourite aperitif or hot beverage by the fire; this is the perfect alpine retreat for you.